This is a grandma's recipe, which can be called a snack and also a tiffin variety. Rice flour, cooked in yogurt, with seasonings , has fantastic flavour and taste. With your index finger, when you take little bit of the hot more kali, and lick......it is superb!! This is called More Koozhu also. This is a fool proof method, measuring the buttermilk and adding, makes it so easy and it comes out in correct consistency. 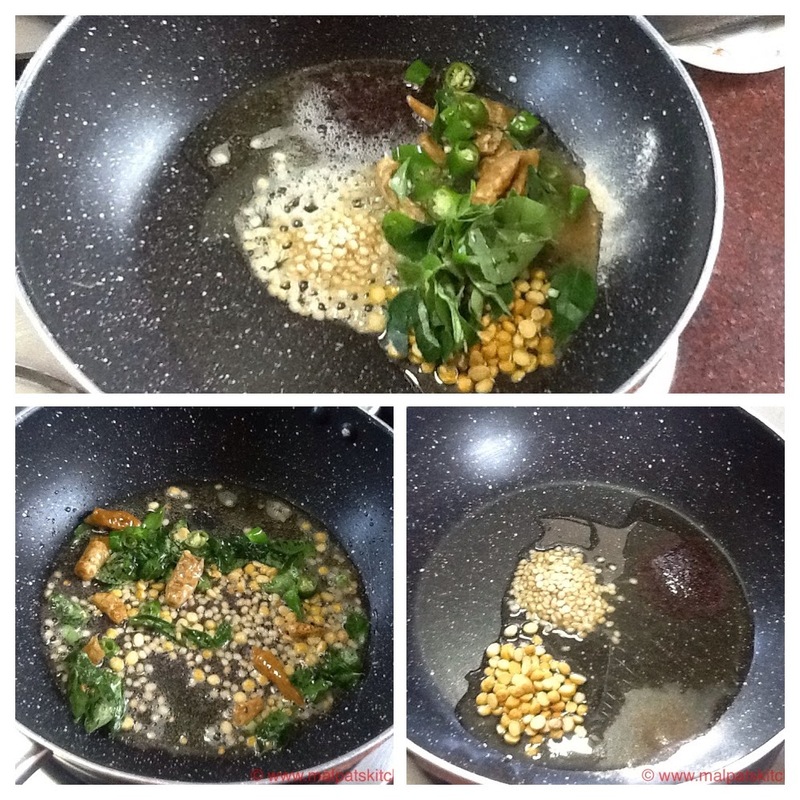 Cooking oil, heated up in a pan, and all the seasoning ingredients mentioned above, including the curd chillies added. 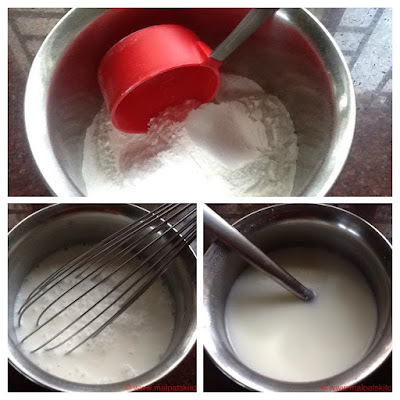 Rice flour - buttermilk mixture also added, flames kept on the lowest, stir well, it will start thickening, keep covered with lid for sometime, open and stir, it will start leaving the sides and become a big mass. Switch off at this time. Allow to rest for 2-3 minutes. 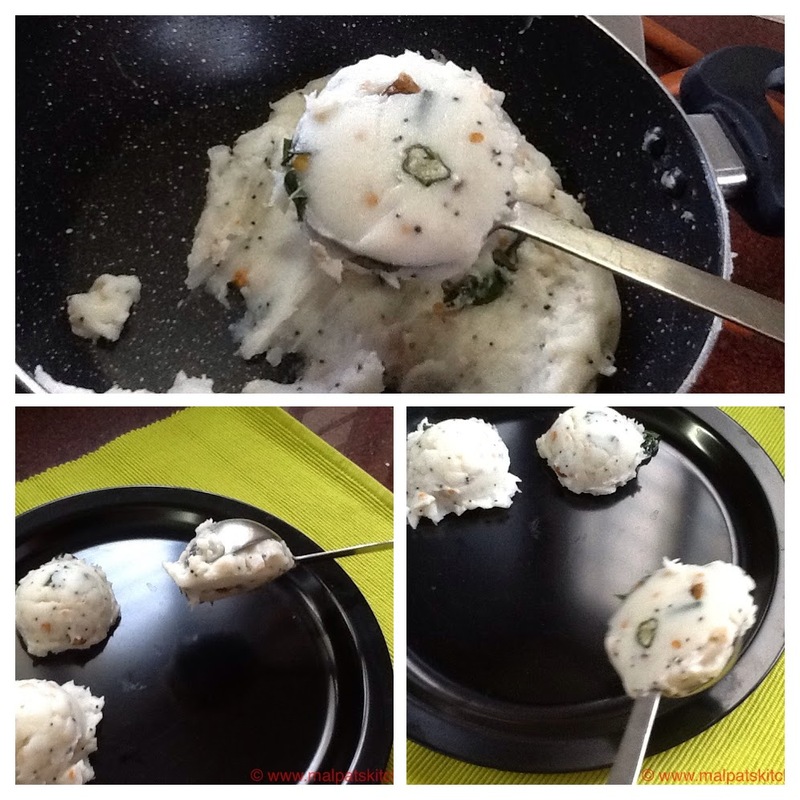 Dip a spatula inside water, scoop out More kali, level it, then put it on a plate. Don't the scoops remind of the white vanilla ice cream?? Serve hot with sugar or any pickle. The rainy day quick snack too!! All time favorite. 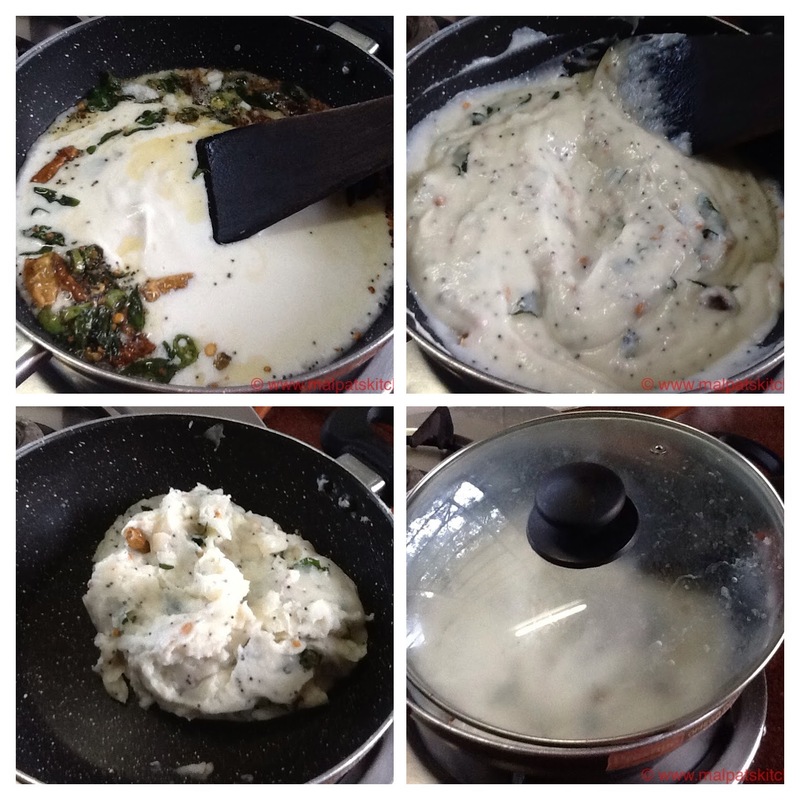 Thanks for bringing in the traditional recipe back into action on your blog. Simple yet endearing dish! !